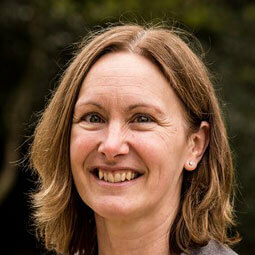 Katherine Denby is Academic Director of the N8 AgriFood Resilience Programme and Chair of Sustainable Crop Production in the Biology Department at the University of York. She is also a member of York’s Centre for Novel Agricultural Products. Katherine’s research focuses on plant disease resistance and using interdisciplinary approaches to enhance crop improvement strategies. She has extensive experience in plant-pathogen interactions, elucidating regulatory networks underlying disease resistance and manipulation of these by pathogens. Katherine’s group integrates genomics and transcriptomics data to breed crops with enhanced disease resistance. Katherine is Chair of the Plant Section at the Society for Experimental Biology, Associate Editor at the Journal of Experimental Biology and Guest Editor at The Plant Cell. Katherine represents SEB at the Federation of European Societies of Plant Biology and sits on the Executive Board of the Global Plant Council.